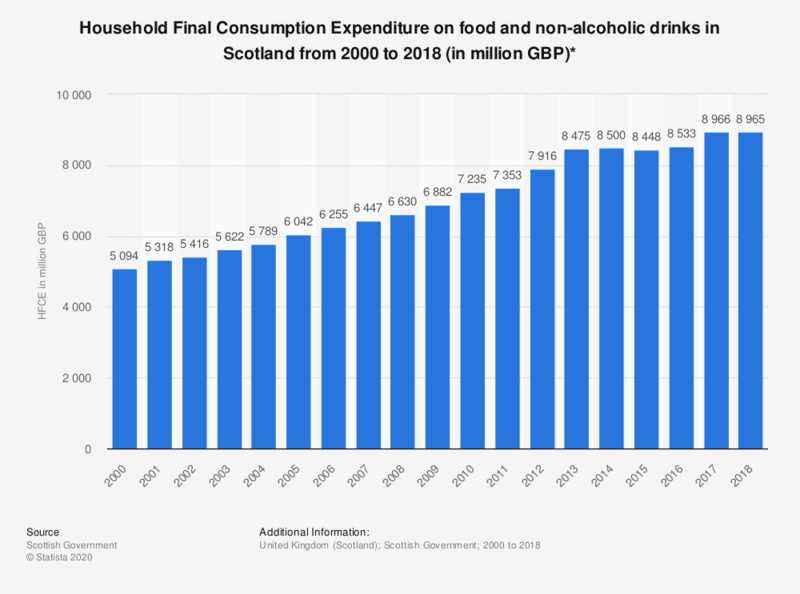 This statistic shows the household final consumption expenditure (HFCE) on food and non-alcoholic drinks in Scotland from 2000 to 2017. Over this 18 year period, expenditure on food and non-alcoholic drinks increased consistently except in 2015. In 2017, the HFCE on food and non-alcoholic drinks amounted to approximately 8.97 billion British pounds. Women: Do you seek out inspirational quotes or photos online when you want to learn or achieve something in food?